Are you an avid skier or snowboarder? If you are then you probably know everything there is to know about your ski area, pistes and slopes, lifts and apres-ski to relax after a long day on the snow. And you have probably seen people wearing strange thingies on their feet looking a bit like skis. They are called snowshoers, representing a popular winter activity for recreation – snowshoeing. Once the mode of snow travel used in North America by hunters, farmers, soldiers, explorers, timber cruisers, snowshoeing has now evolved into a popular and enjoyable winter outdoor activity that can be practised by people of all ages, regardless of their physical condition, since the technique of snowshoeing is easy to master and doesn’t require any special fitness level, gear or training. If you still haven’t been able to try this healthy winter fun, take a quick glance at 5 good reasons why you should! 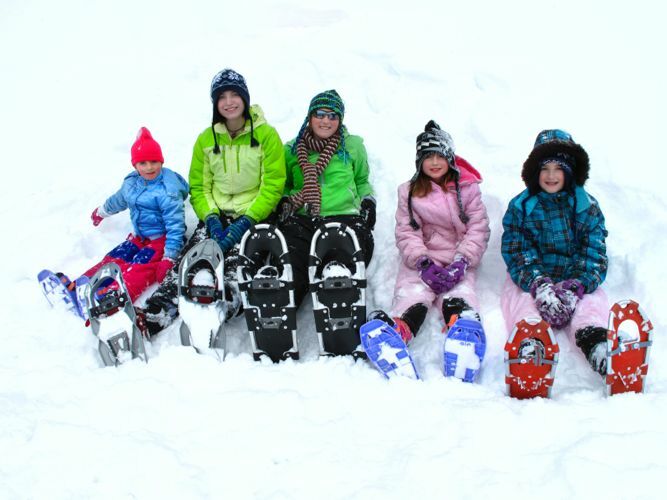 Experienced snowshoers say – If you can walk, you can snowshoe. And this is pretty much true! It’s a way easier to learn walking in snowshoes, than skiing or snowboarding. The only skills worth practising are – going up and down hills, pole usage and widening your stance, so you don’t step on your snowshoe frames. The gear necessary for snowshoeing includes appropriate clothing adjusted to weather conditions (base layer, an insulating layer, and finally, outer layer), footwear (insulated, waterproof boots with thick soles, rubber or leather uppers are highly recommended) and a pair of poles. 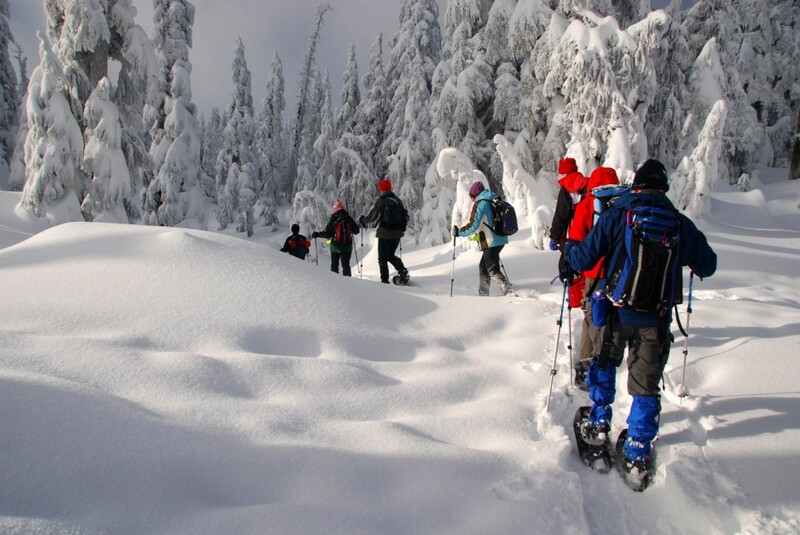 Practising snowshoeing you will keep yourself fit and healthy without any hard exercises. Snowshoeing is a type of activity that offers low-impact, aerobic elements to help you stay in good shape. It is optional on your part whether you want to go hard or easy. In addition, wearing snowshoes you can explore the trails that are inaccessible to skiers because of trees and low-snow cover. If you like hiking and running, snowshoeing is the most healthy and reasonable activity to take on as winter sets in. It lets you enjoy winter solitude and can be a social activity. All ages and ability levels can enjoy the sport together, so it may become a fun family activity followed by the joy and excitement. However, if snowshoeing isn’t your thing and you’d much rather stick with skiing…find out the resort opening dates for 2017 – 2018 and get your ski on!